Identifying that removals business that understands your needs is essential to ensuring an easy transition between properties. Here at Pers Removals know how to deliver a service tailored to your personal requirements. We provide an unrivalled removals service for customers in the Muswell Hill area. From comprehensive office relocation to safe storage of valuable belongings, we pride ourselves in our efficiency, and customer-centric nature of our services. Here at Pers Removals we have comprehensive local knowledge of the Muswell Hill area. This, combined with our commitment to exceeding client expectations, allows us to deliver an unbeatable service that effortlessly manages your expectations. We will arrive promptly on the day of your move, allowing for sufficient time to execute the removal process effectively. With comprehensive local knowledge and significant experience, we’re sure to deliver one of the foremost removals Muswell Hill services. 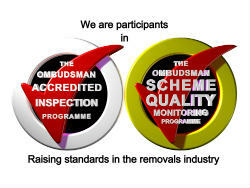 All our services are competitively-priced. Whether you require short or long term storage or safe and courteous packing of delicate belongings, you’ll find that all our services are flexible, and affordable. 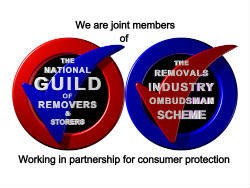 Here at Pers Removals we have comprehensive knowledge of the local area. This means that not only can we transport belongings from one location to another promptly, but we can identify an appropriate place to park when loading and unloading, making the removals process on the day free from difficulty. The personal touch is one of the hallmarks of our local service. Our attentive professionals will cater precisely to your needs, comprehensively managing the whole experience, and taking the stress away from the moving experience. To learn more about why are considered to be one removal company in Muswell Hill of considerable note, or to book our services, contact us today.